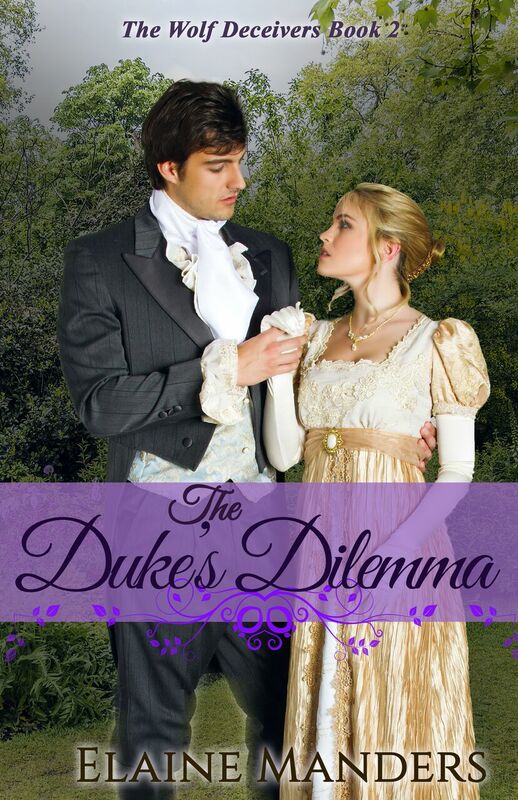 The Duke's Dilemma is book two from Elaine Manders's The Wolf Deceivers series. Since I have not read the first book in the series, The Chieftain's Choice, I believe it can be read as a stand alone as I did not feel as though I was missing anything. Should he wed the perfect match—or the one he loves? Edward Dalton, the new Duke of Langsdale, must soon take a wife to ensure the hereditary line. A young war widow seems the perfect choice. She is charming, well respected with impeccable character, and her connections to the Ton’s most important people is an asset he can’t ignore. But Edward is intrigued by another widow. The mysterious, hauntingly beautiful Lady Wayte. Cassandra Wayte could not be a more unsuitable match. She isn’t received by polite society, and her notorious dealings with London’s underclass is the talk of nobility from White’s patrons to the most fashionable hostesses. It’s even whispered she murdered her elderly husband. But Edward sees a different side of the tragic lady, and he determines to discover the secrets tormenting her. As he peels away the layers of her resistance, he discovers a malevolent adversary stalking Lady Wayte and exposes a level of depravity that shocks even his war-hardened sensibilities. Can he win her trust and her heart? And at what cost to the dukedom? As Cassandra’s relentless search for her husband’s murderer exposes both her and Edward to unseen dangers, all they can rely on is their love for each other and their faith in God. Elaine Manders writes wholesome Christian romance and suspense about the bold, capable women of history and the strong, dependable men who love them. She prefers stories that twist and turn and surprise, told by characters of faith. She lives in Central Georgia with a happy bichon-poodle mix. Besides writing, she enjoys reading, crafts, and spending time with her friends, daughter, and grandchildren. Historical romance became my favorite genre back in the seventies and eighties, and one of my favorite settings was Regency England. A Regency can be a romance in the Jane Austin mode or historical romance set during the Regency period. There is a difference, and The Duke’s Dilemma falls into this latter category. Yes, there is some of usual drawing room intrigue in an Austen novel, but The Duke’s Dilemma contains a serious spiritual theme. The plot fitted perfectly into my new series, The Wolf Deceivers. I wrote the original manuscript nearly twenty years ago as a light, secular romance, but when I revised it to Christian romance, I was delighted to find the inspirational thread deepened the characters. Instead of merely fighting for her reputation while trying to wrest the duke from another woman, Cassandra, the heroine, must fight for her survival. Instead of being another handsome, sardonic nobleman, Edward, the hero, uses his intelligence and grace to protect Cassandra and win her love. Even the secondary characters captivated me. Little Sarah’s match-making antics suited the Regency theme and provided some levity during the darker moments of the plot. Lady Ashford, Cassandra’s foil, developed a tenacity I had to admire in spite of all her shortcomings. And Sir Harcrumb became a villain I loved to hate. Though the characters changed a great deal in the retelling, the plot remained basically the same. The only thing I added was a surprise twist at the end—something that has inadvertently become a part of my brand. Every story is a learning experience for me, and I’m always grateful for how much I learn from my research and from the Holy Spirit. I’ve become more aware of those who deceive, and how vulnerable people, especially young people, are to Satan’s tactics. Also, I’ve unexpectedly come away with a better understanding of PTSD (post traumatic stress disorder). Although this is a new label, we all know it has affected people throughout history. Yes, The Duke’s Dilemma has taught me much, and I hated to say good-bye to these characters. I love stories that move me during the writing and only ask two things of my books. That they bring enjoyment to my readers and glory to my Lord and Savior, Jesus. I hope this one does both. September 2: Live. Love. Read. The Chieftain’s Choice and The Duke’s Dilemma!! 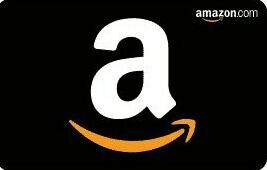 before you enter to claim 9 extra entries! I really liked The Duke's Dilemma. I could just feel for Cassandra and could relate to her being a misfit and being misunderstood. Society can be cruel and I can imagine at her status, it was much worse. I liked how she wanted to save others beneath her no matter what anyone says. It was delightful when Edward started interacting with her and how soon he wanted to find out more about her. The story got pretty exciting as the mysteries started to unravel and leading them to danger. I did not want to put the book down as I had to know what was going to happen next. Now I need to go back to the first book as I eagerly wait for the third one to release. I received this book from Celebrate Lit. This review is 100% my own honest opinion. Mia is expecting a mess when she arrives to sort out the situation with Lucy, but she wasn't expecting Jake. And Jake, who can't help envying Sam and Lucy, doubts he'll ever experience their happiness for himself. But maybe Jake's courage and Mia's caring spirit are just what they need to bring them a lifetime of healing and a forever kind of love. . . . 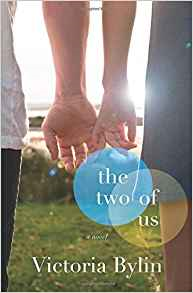 The Two of Us is the newest and exciting release by Victoria Bylin. I thought this book was a great read. I felt an instant connection to Mia and understood her from the beginning. Her and Jake were so fun together. The story is full of faith and inspiration, at times it was complex and heartbreaking, and other times heartwarming and sweet. Two of Us is the type of book that almost every reader can learn from and relate to. It is so so good and I highly recommend it. Though the cold walls offer no comfort, Katharina soon finds herself calling the convent her home. God, her father. This, her life. She takes her vows―a choice more practical than pious―but in time, a seed of discontent is planted by the smuggled writings of a rebellious excommunicated priest named Martin Luther. Their message? That Katharina is subject to God, and no one else. Could the Lord truly desire more for her than this life of servitude? Loving Luther is the newest release by Allison Pittman. This book was just okay to me. 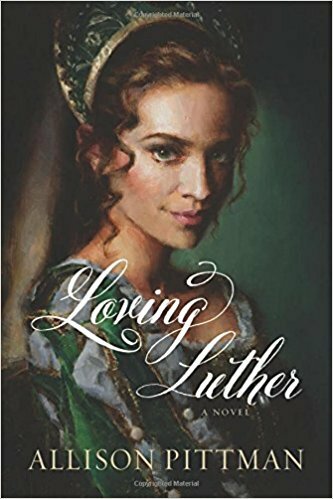 I love to read about the love story between Katharina von Bora and Martin Luther. However, this version was a little too slow for me. The first two-thirds of the book was hard to get through but it finally picked up about the last third of it. I am glad I pushed myself to keep reading on as I did enjoy the ending. Two Americans literally collide at the entrance to a Paris hospital, each desperately searching for friends felled in the same unspeakable tragedy. Patrick Finley Deschanel, an expatriate former U.S. Air Force pilot, quit the military after a career flying helicopter rescue missions in the Middle East. Now resident on a classic barge moored on the Seine, Finn is a man with both physical battle scars and psychic wounds that overshadow his day-to-day encounters at every turn. Juliet Thayer is a fledgling landscape painter who seeks escape from a tyrannical older brother and her job at his violent video war games company in San Francisco. Her emergency trip to Paris also raises doubts as to her impending engagement to a colleague where she serves as packaging design director and “Chief Branding Officer” of GatherGames, a highly speculative enterprise in which her parents are heavily invested. As Finn and Juliet form a tenuous attachment in the aftermath of the terrorist attacks that traumatized the French capital November 13, 2015, they wonder if the “City of Light” can provide a path out of the darkness for two emotional exiles who fear–along with the world at large—that their universe has descended into a permanent state of chaos and that the renewal of spring might never come. New York Times bestselling novelist and Emmy-award winning news producer Ciji Ware displays her formidable skill at weaving fact and fiction–delivering a gripping story about the discovery of love and regained serenity in the wake of horrifying events. Ciji Ware, a graduate of Harvard University in History, is a New York Times & USA Today bestselling author of historical and contemporary fiction, and two works of nonfiction. An Emmy-award winning former radio and TV broadcaster for 23 years in Los Angeles, her numerous writing accolades include a Dorothy Parker Award of excellence, and being short-listed for the Willa [Cather] Literary Award. Her family circle includes a husband of many decades, a grown son and daughter-in-law, and now two grandsons under four, along with a Cavalier King Charles Spaniel named Cholly Knickerbocker. Ware lives in a cottage by the sea on San Francisco Bay. That Spring in Paris is the fourth installment from Ciji Ware's series, Four Seasons Quartet. Since I have not read a book by this author before, I believe the book can be read as a standalone. At least, I did not feel like I was lost, confused, or missing anything. I thought That Spring in Paris was a pretty good read. Ciji Ware perfectly captures the sights and sounds of the setting, as well as, the emotions and feelings of the main characters. The story fits right in with the current events and tragedies that have been happening around the world recently, making it more believable and more relatable for many. Even though the story has many heartbreaking scenes, they are sweet romantic scenes, as well, that helped break away from the seriousness of the situation the characters were in. I would give this book four stars and I hope to read more of series and books by Ciji Ware in the near future. The Promise of a Letter is the fabulous second installment from the Amish Letter series. Roman has left his Amish home and has been thinking about going English. However, he receives word that his grandmother has passed away. 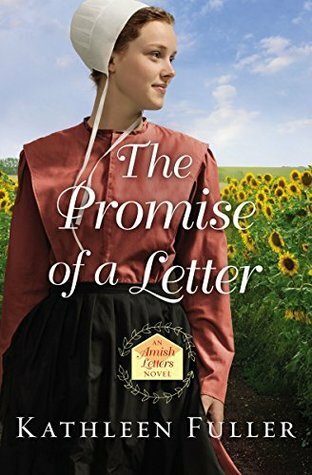 She has left him a letter with her dying wish for Roman to come back home to Birch Creek and find a way to reconcile with his brother, Daniel. Reluctantly, he goes and hopes he will not be there for long. Daniel's female employee, Leanna, is not what most would think of when they think of a young Amish woman. She does find herself among the gossip and untrue rumors from the community because of her unconventional ways. When tragedy strikes, Roman and Leanna are forced to work with one another and find themselves at odds. Will this drive Roman further away from his Amish faith or will it keep him in Birch Creek forever? I loved The Promise of a Letter. I was not sure what I thought of the main characters, Roman and Leanna, at first. Leanna is not the average Amish woman I am used to reading about in Amish Fiction. But I did come to love her and found it to be quite refreshing to find a unique character like her. Roman grew, too, grew on me quickly once I started to get to know him. The two learned important lessons: Forgiveness, Redemption, and Faith. Just a beautiful story with several scenes that brought tears to my eyes. I cannot wait to read the third book in the series. Kathleen C. Perrin holds bachelor’s degrees in French and Humanities from Brigham Young University and is a certified French translator. Besides being the author of The Watchmen Saga, she has published several non-fiction articles, academic papers, and a religious history about Tahiti. Kathleen has lived in Utah, New York City, France, and French Polynesia. She and her French husband have spent years investigating the mysteries and beauties of his native country —where they have a cottage—and have taken tourist groups to France. The Perrins have three children and currently reside in Utah. SUFFOCATING BLACKNESS. It’s almost impossible to describe the horrific pressure threatening to snuff out my life. I can’t see, and I can’t breathe. I don’t know where I am or what’s happening to me. I do know that the thing I want most in the world is to breathe, but it’s the one thing I can’t do. The blackness engulfs my toes and legs, my chest, my fingers and arms, and then it starts to invade my mind with its swirls of perfidy. I fight to keep one corner of my consciousness in the light. I can’t give in to the darkness, for I know if I do, I will cease to exist. Then one tiny pinpoint of light breaks through the obscurity and grows until I can see an image drenched in brightness. Jean. Jean le Vieux. He comes to me in the darkness and tells me to lie still, to make my body go limp. Immediately, the pressure over my mouth and nose diminishes, but Jean tells me not to gasp for air. Instead, he breathes for me and allows me to focus on the words I hear whispered into my ear. Then he stretches out over me, reaching for something. I hear his hand knock the lamp on my bedside table. He’s trying to find something, but he can’t locate it in the darkness. He finally shifts his weight off of me and onto his knees on either side of my torso. Now, Jean’s voice speaks to my mind. Now, Katelyn, and I know what he means. I gulp in a lungful of air and simultaneously whip my right hand up and make contact with the second handle. … It’s a good thing my assailant has chosen to work in the darkness, because he does not see me whip the garrote around his neck. But neither do I see him bring the hypodermic needle to my neck. No matter. Just as I feel the pinprick on my skin, I not only pull with all of my strength, but I scream at the top of my lungs. The Secret of the Abbey is the third and final book from The Watchmen Saga. I have not read the first two books from the series, but the author did a good job summarizing what had happened previously to the point where I did not feel too lost or confused. Right from the start, I was hooked and was drawn into Katelynn and Nicholas's story. It was fascinating how Kathleen C Perrin was able to weave such a tale. I loved how she used actual historical events and included footnotes on the bottom of the pages to note those events. I was a little intimidated at first by the size of the book but had no problem turning the pages and was sad when it ended. I found it to be a fabulous and clean novel full of intrigue, action, and adventure. One of the best time travel stories I have read - right behind The Outlander. I have added the first two books to my wish list and hope to read them very soon. I cannot wait to see what Kathleen C Perrin comes up with next. I received this book from the author but was not required to write a positive review. This review is 100% my own honest opinion. A continuation of the very popular Very Christmas Series from New Vessel Press, this collection brings together the best French Christmas stories of all time in an elegant and vibrant collection featuring classics by Guy de Maupassant and Alphonse Daudet, plus stories by the esteemed twentieth century author Irène Némirovsky and contemporary writers Dominique Fabre and Jean-Philippe Blondel. With a holiday spirit conveyed through sparkling Paris streets, opulent feasts, wandering orphans, kindly monks, homesick soldiers, oysters, crayfish, ham, bonbons, flickering desire, and more than a little wine, this collection encapsulates the holiday spirit and proves that the French have mastered Christmas. This is Christmas à la française—delicious, intense and unexpected, proving that nobody does Christmas like the French. A Very French Christmas: The Greatest French Holiday Stories of All Time is quite different from other Christmas books I have read. Each story is only about to 5-15 pages long, making it easy to continue on to the next story, and hard to put the book down. There were a couple of the stories I did not care for but enjoyed most of them. They are fun, interesting, heartwarming, inspiring, delightful, magical, compelling, and even sometimes funny. I loved learning more about French culture during Christmas time. My favorite story of the collection is I Take Supper With My Wife by Antoine Gustave Droz. I thought it was a cute and charming little story. I found myself chuckling a couple of times reading it. If a reader is looking for a quick and different Christmas read, I think A Very French Christmas would be a perfect addition to their to read or wish list.